PC Dudes is a local Mankato business. We have been in the same location, above Save Mor Jewlery, designing web sites since 2002,. We open our doors at 10:00 am., and we are here until 5:00 pm., Monday through Friday, and you can always contact of us. You can even come to our office and speak to a web developer face to face. We value our customers and stand behind our work. WordPress is an Open Source content management system that started as a simple blogging tool. Open Source means it is free to all and anyone can help improve it. WordPress has flourished into much more than a blogging tool with over 37,000 plugins (plugins are code that adds functionality to a WordPress site) and thousands of themes and templates(themes/templates control the appearance of a WordPress site). WordPress is written in a programming language called PHP, and uses a MySQL database to drive the site. PC Dudes has been writing PHP and MySQL to make sites for over ten years, the same core language used to write WordPress plugins, widgets, and templates. If you need a custom WordPress template, custom WordPress widget, or any programming on a WordPress site, let PC Dudes make your WordPress design in Mankato. 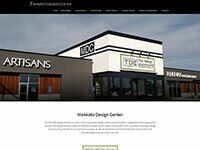 PC Dudes in Mankato can build a WordPress web site to suit your needs. PC Dudes can build custom WordPress templates and custom WordPress widgets. If a custom WordPress template is not required we can customize one of the many free WordPress templates on WordPress.org or customize a premium (purchased) template from a trusted WordPress template author, such as TemplateMonster.com. PC Dudes web design in Mankato can redesign and style any WordPress template so it is uniquely yours. Or, if you are feeling brave PC Dudes can install and host a WordPress site for you. When your WordPress is up and running, PC Dudes can turn the site over to you (and if you get stuck - you can hire PC Dudes to help). When we build a custom template or custom theme, we follow the WordPress Codex (suggested standards). We start with a skeletal theme provided by WordPress for customization. These skeletal themes are great resources for building a site with all the bugs already worked out with great support and lots of documentation. We have customized many sites and are very familiar with the code. A child theme is used so none of our changes are lost when WordPress updates code. Is WordPress right for your web site? Many WordPress sites handle responsive design out of the box with no additional work. The client can manage page content. WordPress sites are inherently good for SEO. WordPress is subject to upgrades and unforeseen changes because the site and plugins are powered by a collaboration of code written by people other than ourselves. WordPress has some design and/or functionality limitations. Some plugins may require a fee for additional functionality and support can be lacking. Because of the popularity of WordPress it is a target for spam and hackers. If you are interested in one of the many free WordPress templates on WordPress.org PC Dudes in Mankato can help select a theme that would best suit your needs. PC Dudes can install WordPress, customize the theme to your specifications, build the menus and all the pages, and style all the content of the WordPress web site for you.